The Neighborhood Watch Program is a successful effort that has been in effect for over thirty years. Crimes such as burglary, vandalism and mischief threaten every member of each community and crime watch efforts such as The Neighborhood Watch Program help discourage this type of activity. The City of Yucaipa and the Yucaipa Police Department have partnered to schedule a series of ongoing quarterly community neighborhood watch meetings. These events are FREE for local area residents – Watch our calendar for the next neighborhood watch meeting! Neighborhood Watch works by having you and your neighbors use simple techniques to deter, delay and detect crime, and improve the quality of life for the neighborhood. Joining a neighborhood watch program is as simple as locating one in your neighborhood and attending a meeting to express your interest in becoming a member. 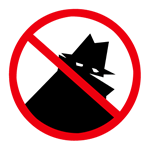 If your community does not have a neighborhood watch program in place, starting one is a relatively simple process. Being aware of criminal activity can help in keeping your neighborhood safe. Promptly reporting all criminal or suspicious activity to -911-, or the Yucaipa Police Department at (909) 918-2305, helps the police to assist you in promoting a safe and healthy neighborhood.